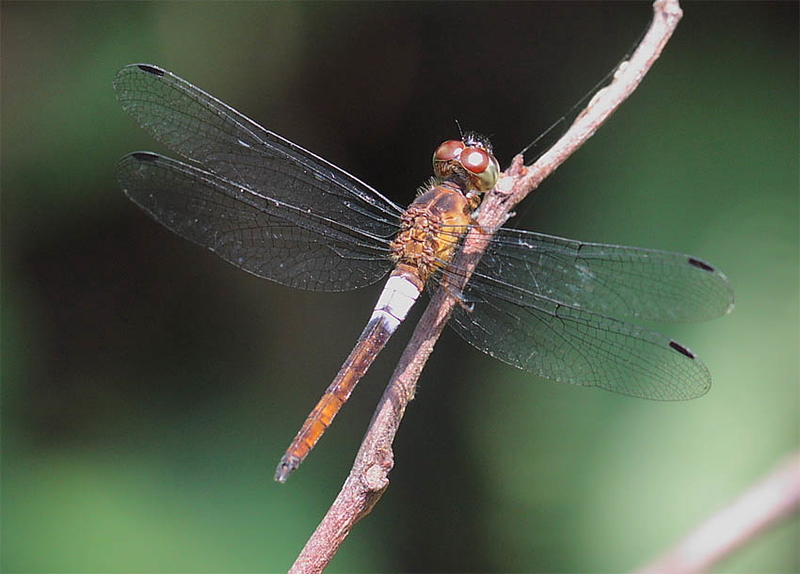 Banded Skimmer is an uncommon species of dragonfly in Singapore. 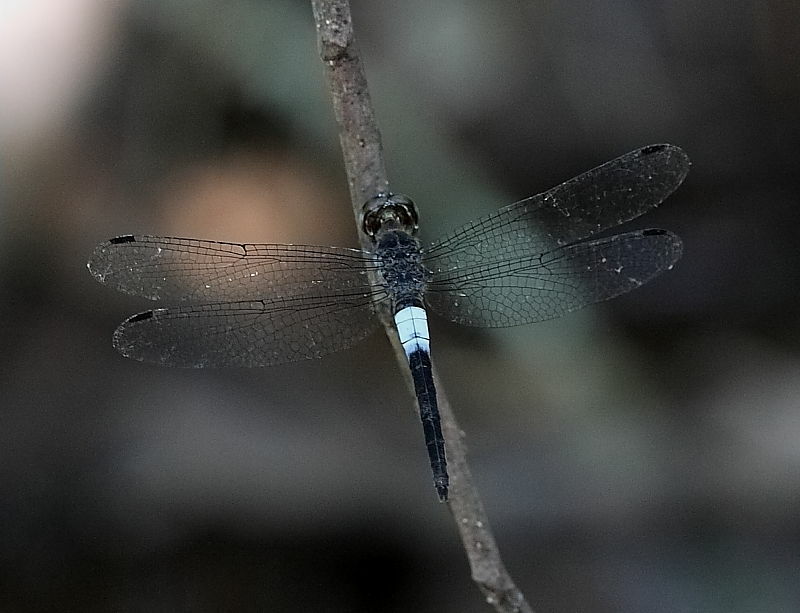 I have seen this species at many locations such as large open water bodies at lower pierce reservoir; large ponds at the Singapore Botanic Garden; at the forest fringes of Bukit Timah Nature Reserve; Chestnut forest, and Ulu Sembawang Park Connector etc. 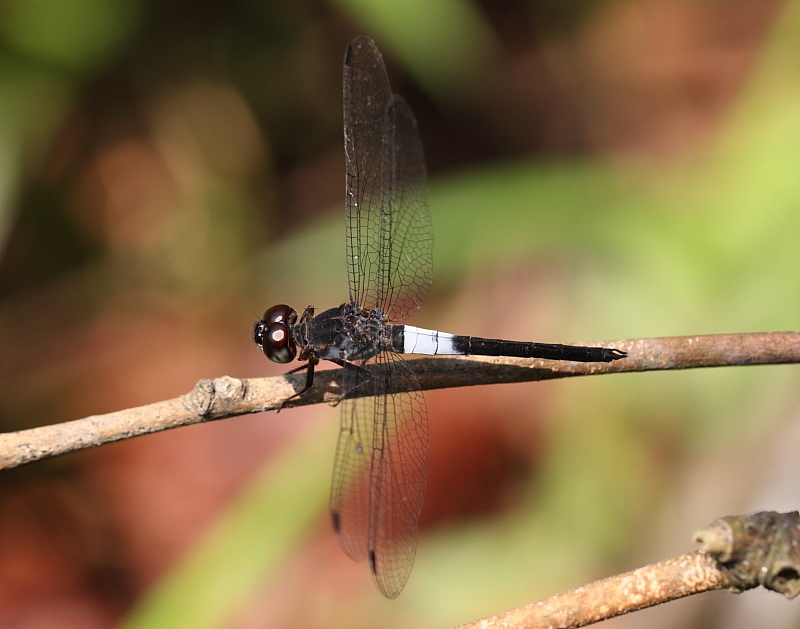 The male is basically black with white marking on the 1-3 segments of the abdomen. 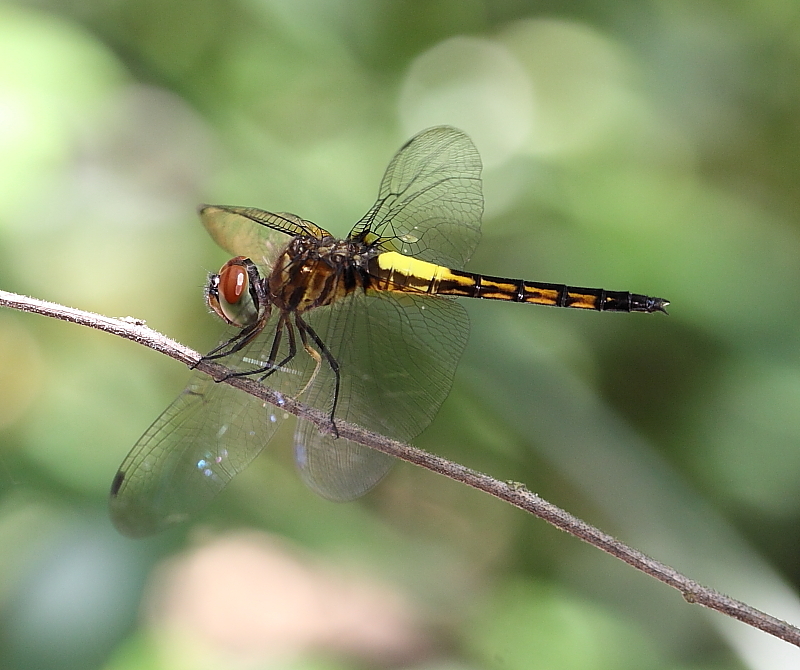 The female is yellowish with dark markings. 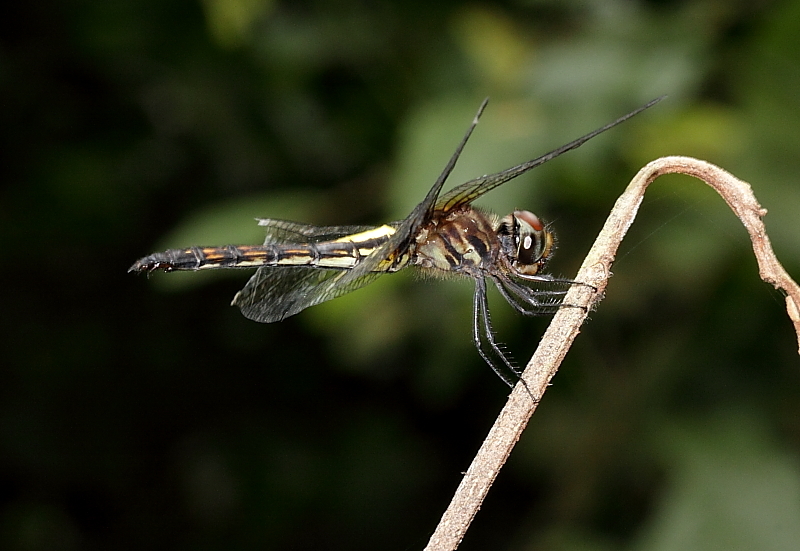 Males are often found flying rapidly at open ponds and reservoirs, sometimes chasing rival males. 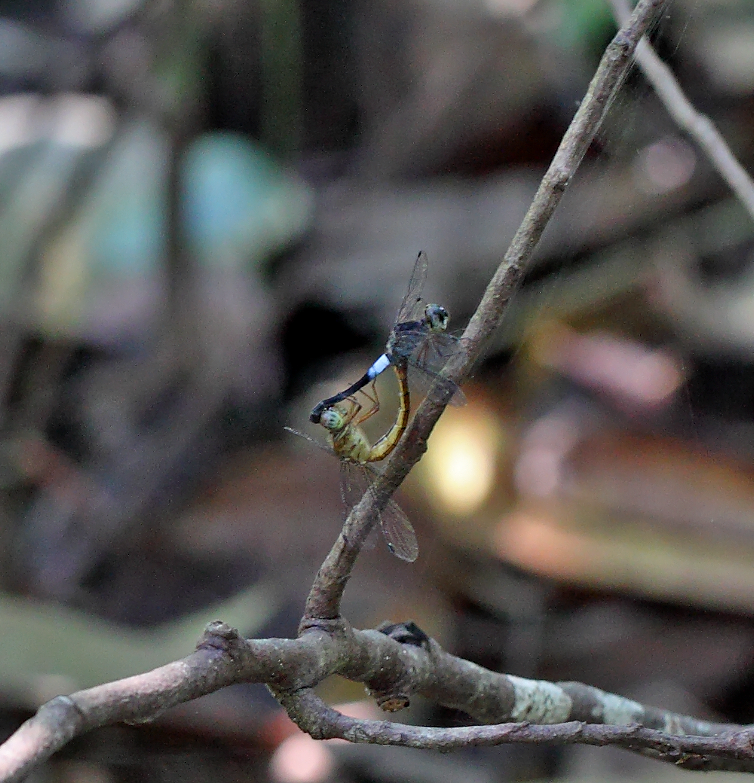 By noon and after, it becomes less active and can be seen perching on twig in the forest. 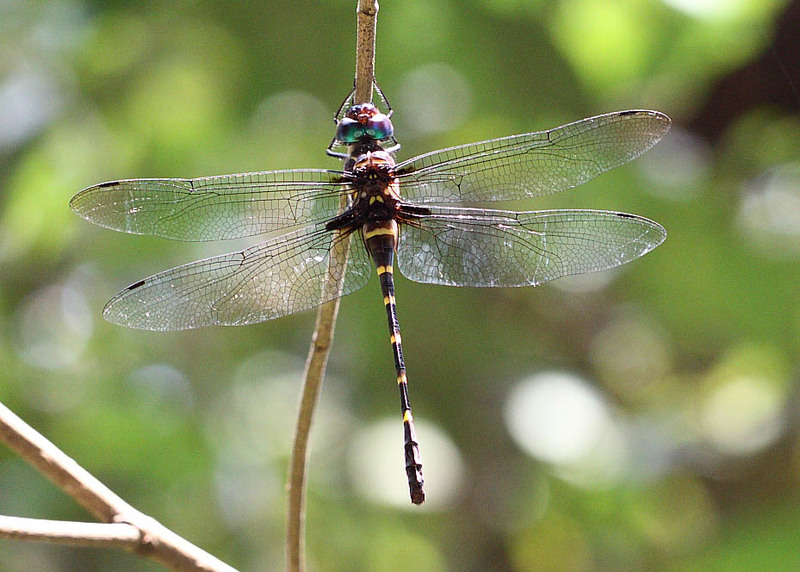 Sometimes, several males can be seen flying in swarm at the fringes of the forest. 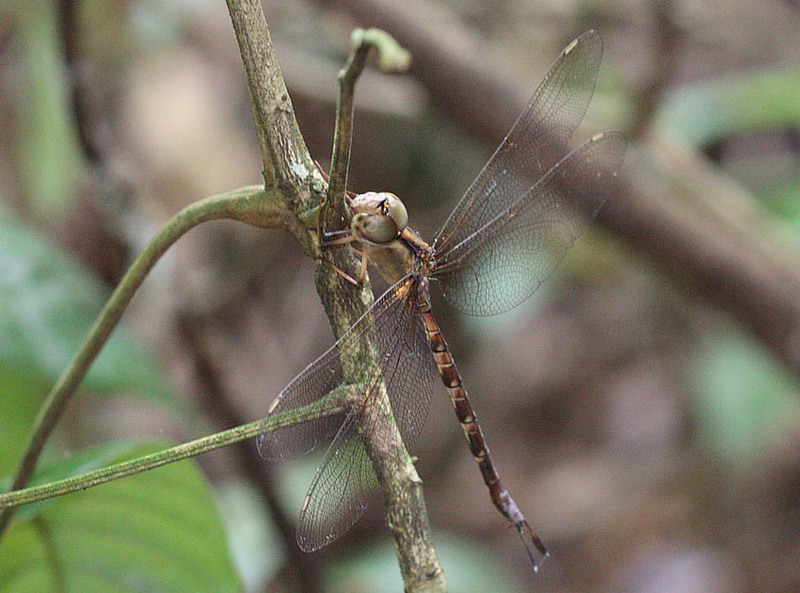 Female is rarer, less active and most often encountered inside closed forest. 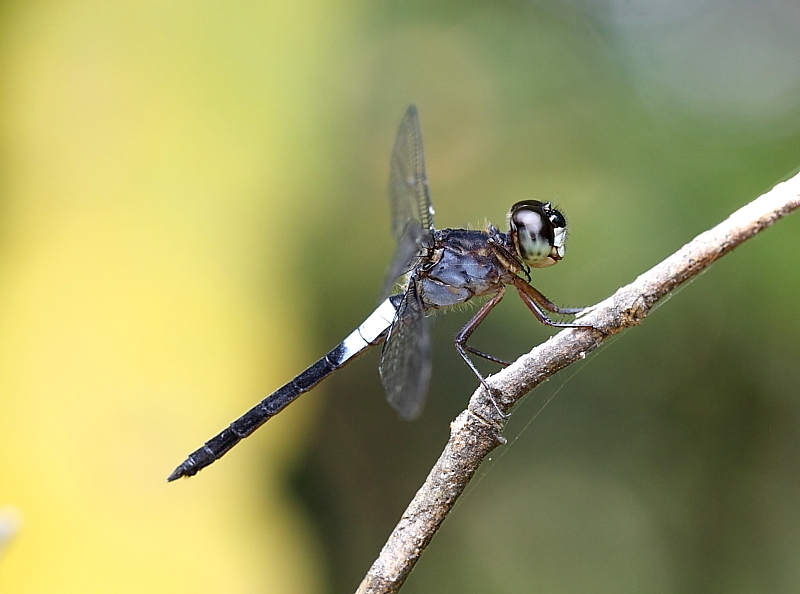 In one of my previous post, here, I have posted a photograph of a male Gynacantha subinterrupta, which I believed is a young adult male. 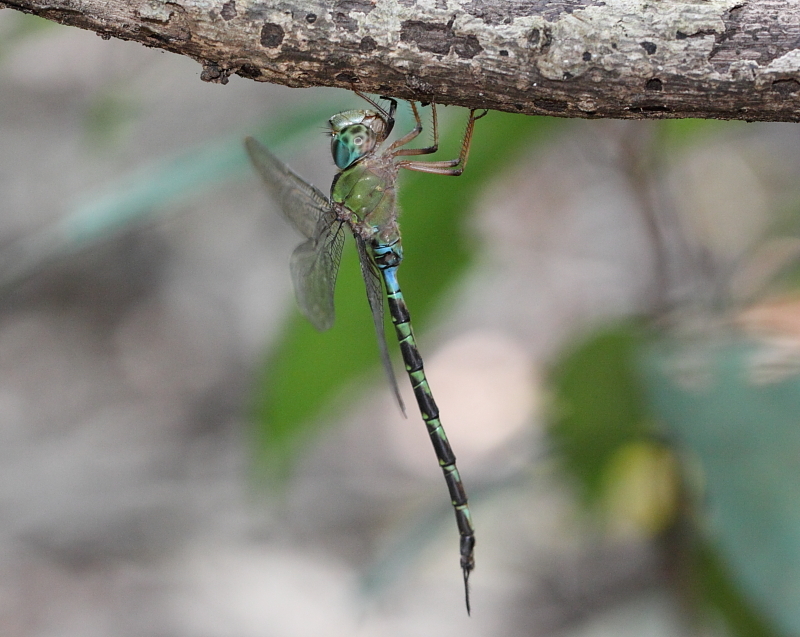 Here I will continue my post of this awesome species in their adult coloured form as well as some of the female photos. 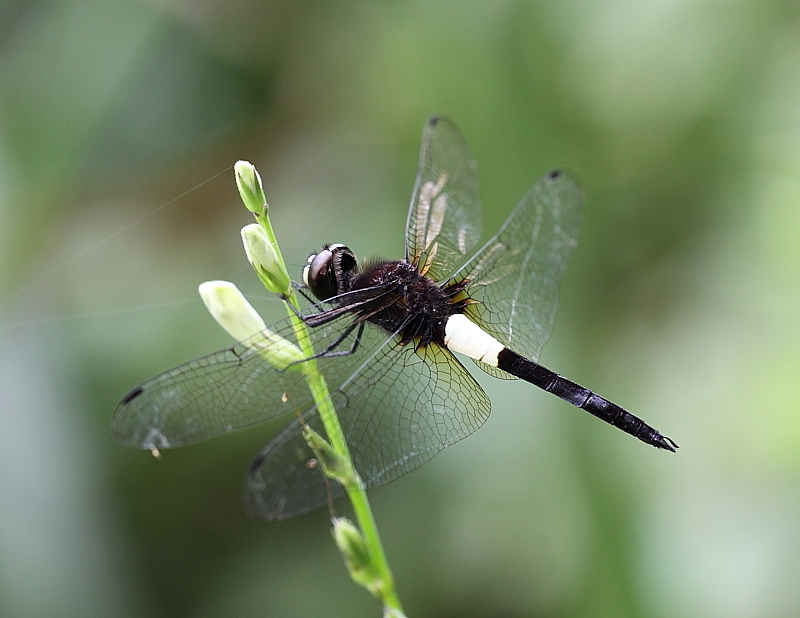 Pond cruiser is a large species of dragonfly in the Corduliids family. 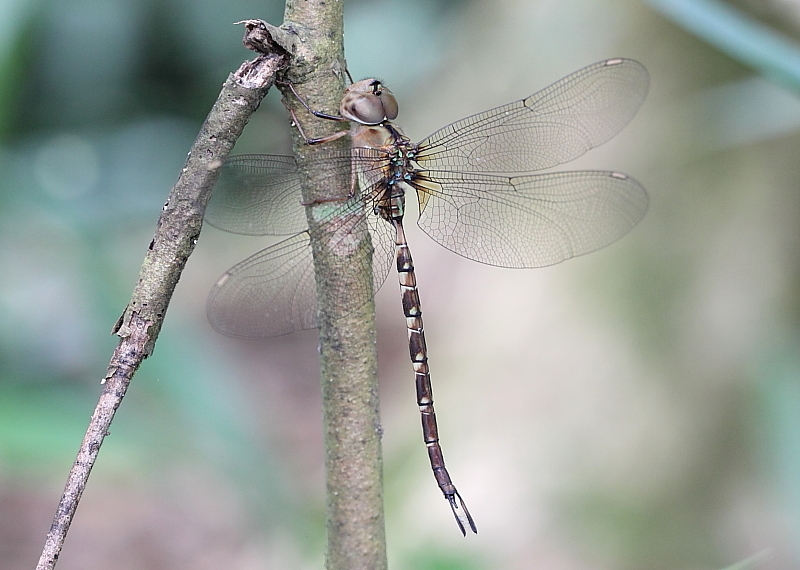 It is commonly found in the swamp forests in the Central Catchment Nature Reserve, and Bukit Timah Nature Reserve. 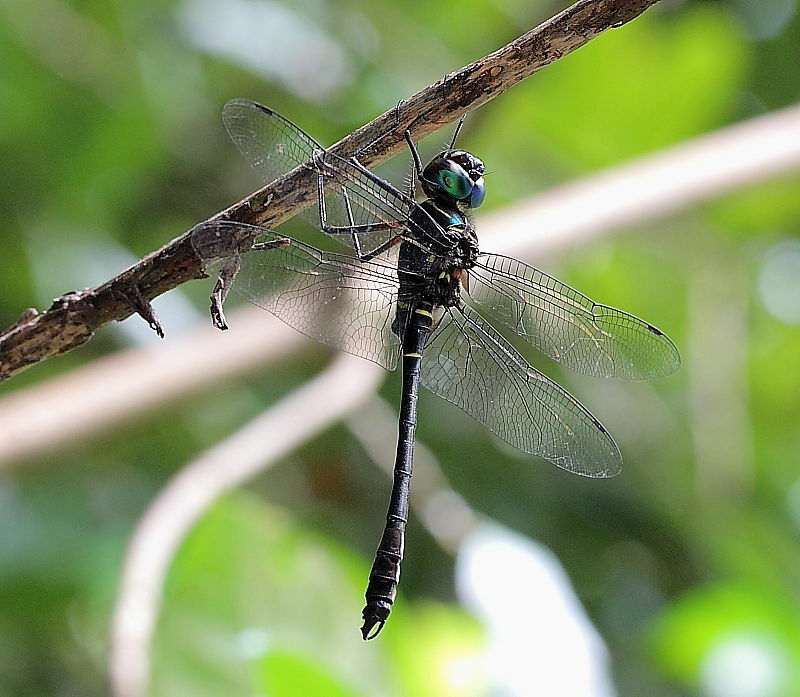 This large dragonfly has brilliant blue-green eyes and dark purplish body. 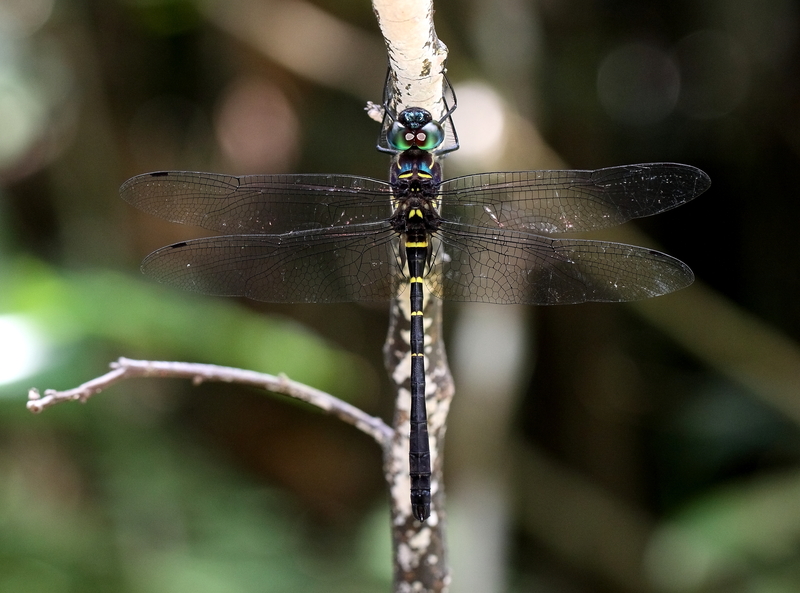 There are strong yellow markings on the thorax and abdomen. 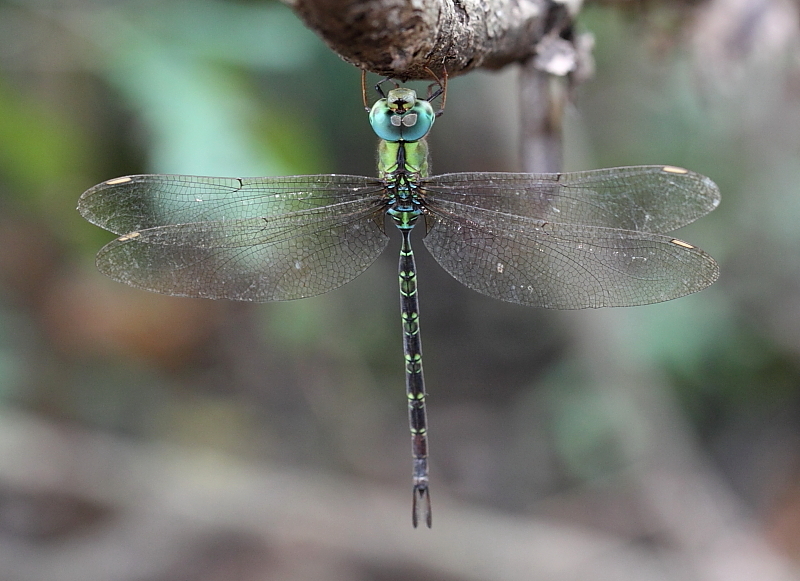 I often seen these dragonfly species constantly on the wings, flying non-stop, patrolling a stretch of the swamp forest. 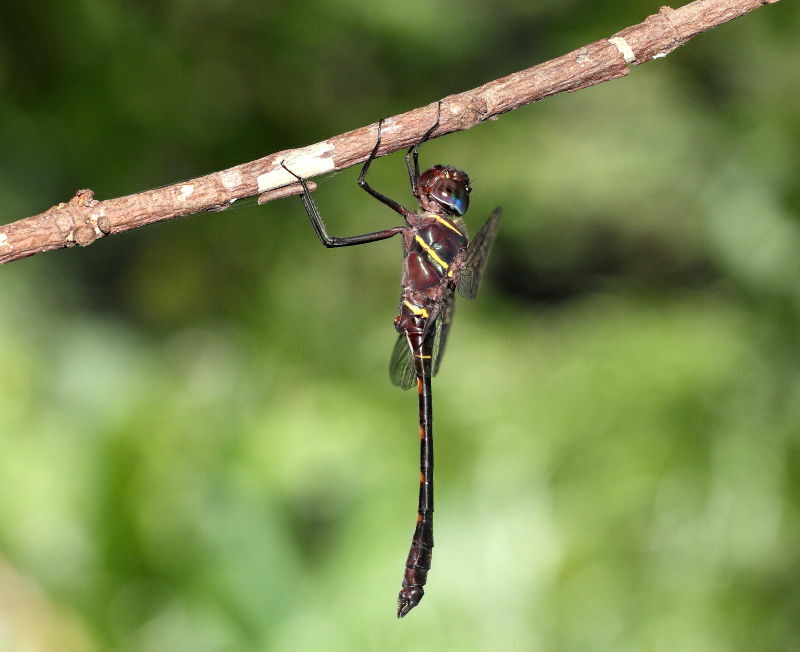 When they do rest, typically, they hang vertically on high tree branches. 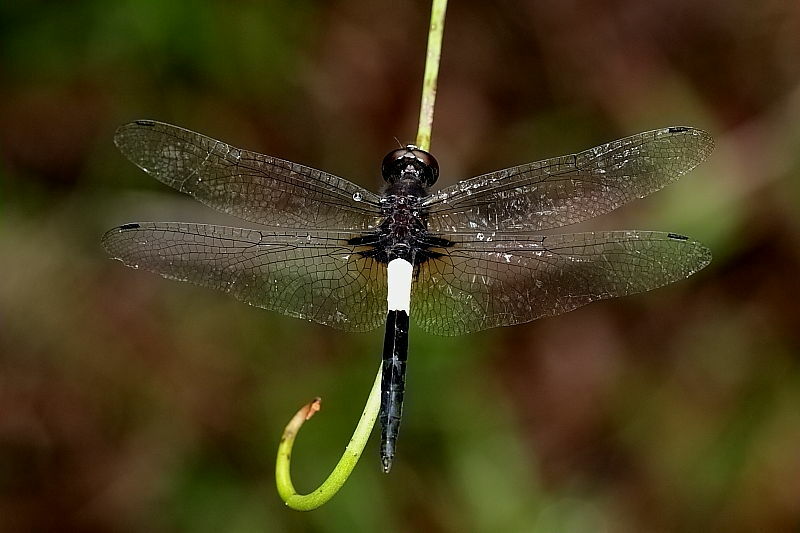 This individual is unique in the sense that it has more yellow markings on it’s abdomen than the common ones. 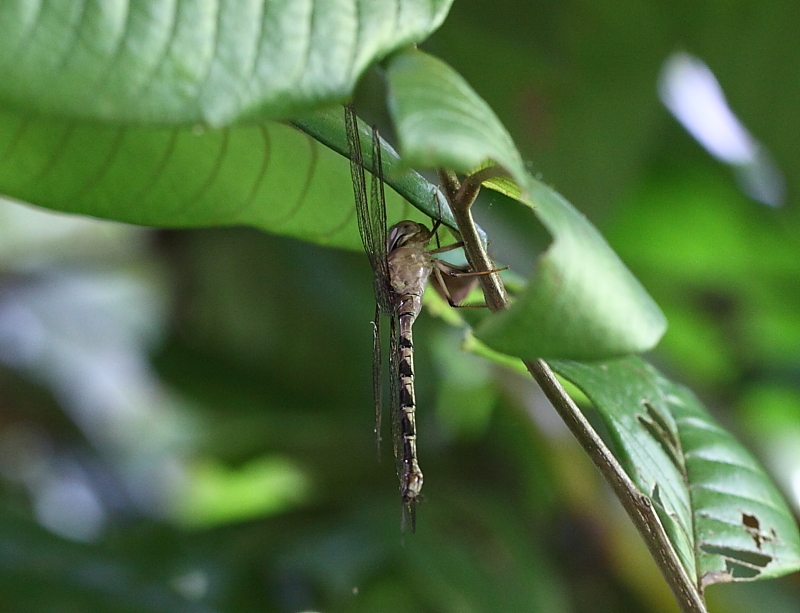 It’s abdomen is also much slimmer. 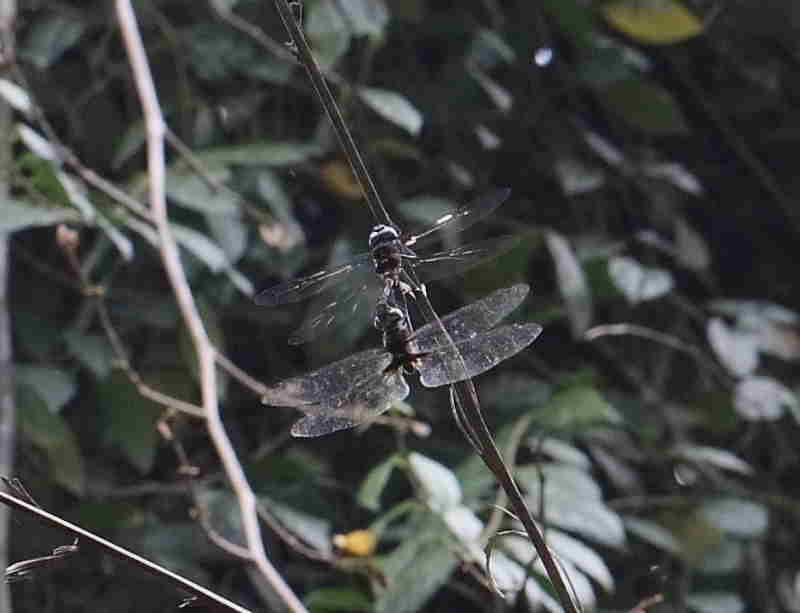 Initially, I thought it could be another sub-species of Epophthalmia vittigera. 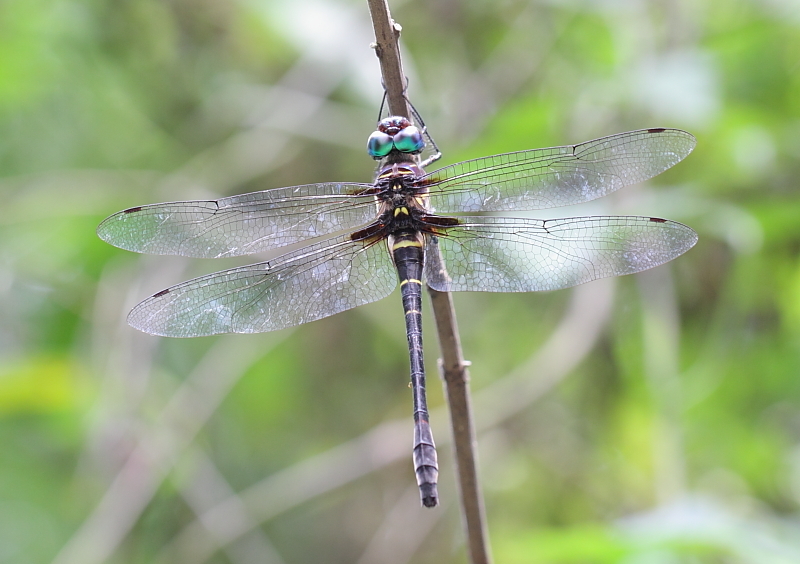 I published this photo at the Asia dragonfly website and ask for verification. 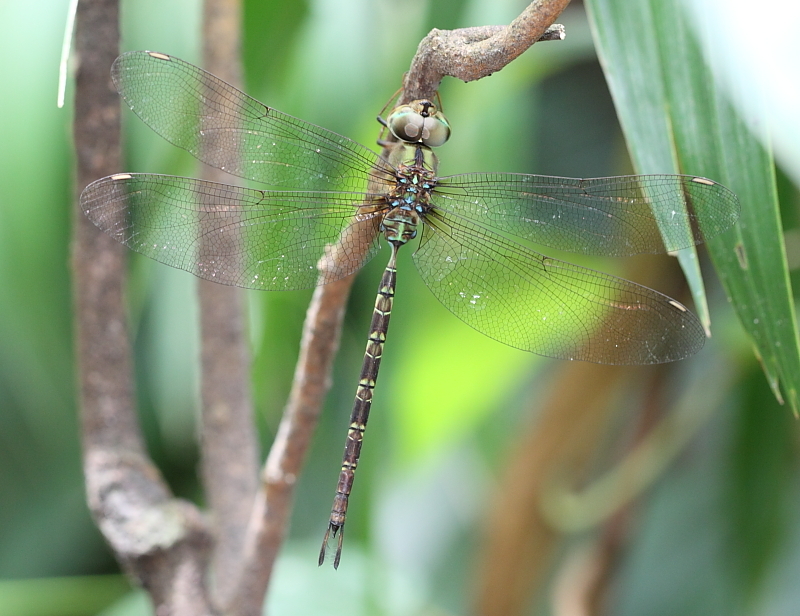 It was identified as E vittigera vittigera. I was quite puzzle as it’s general appearance and markings does not quite match with the common E. vittigera.